11795 ft (3595 m) . 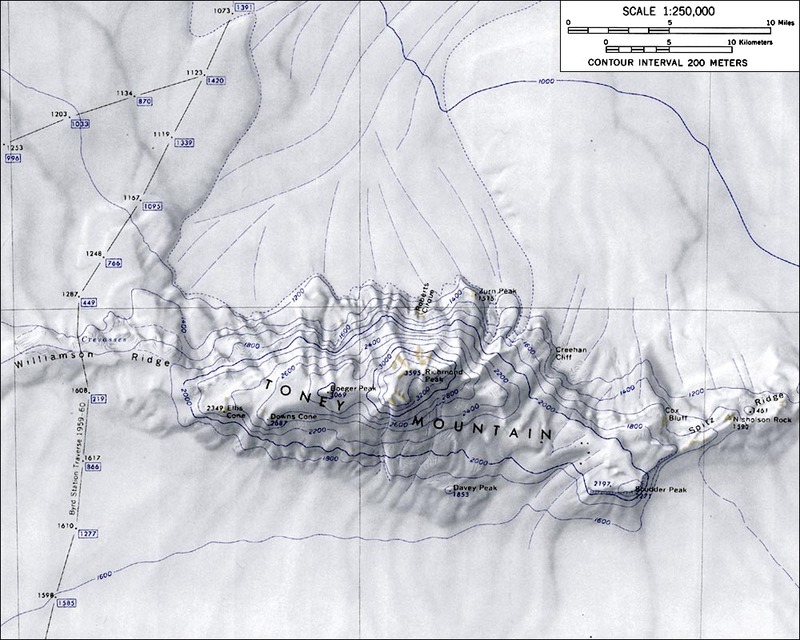 Toney Mountain is an elongated volcanic massif over 30 miles (50 km) in length, located about 60 miles (100 km) north of Mount Frakes. The highest point is Richmond Peak, which sits on the northeast rim of the 2 mile (3 km) diameter summit caldera. 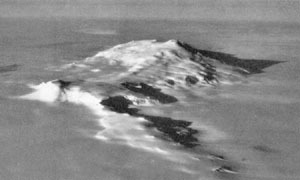 Toney Mountain is a comparatively young volcano, with rocks dated to less than a million years old on the upper part of the cone. 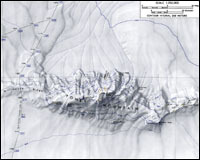 On the north and south sides, the slopes fall away much more steeply than the gentle gradient typical of Marie Byrd Land shield volcanoes, with an impressive drop of over 8000 ft (2400 m) on the north side and over 6000 ft (1800 m) on the south.